Simon Clarke takes Trai Anfield to see the dawn take-off of hundreds of thousands of starlings from the Somerset Levels. Each year the reedbeds of the Somerset Levels become the winter home for hundreds of thousands of starlings. Making their way from across the UK and Europe these birds have found a safe haven to roost with plenty of food nearby. The famous evening murmuration, fantastic formations of huge flocks of starlings coming in to roost, brings hundreds of visitors to the levels each winter. But far fewer people see the spectacle of the dawn eruption when the starlings take off en masse to start their day foraging in the surrounding fields. 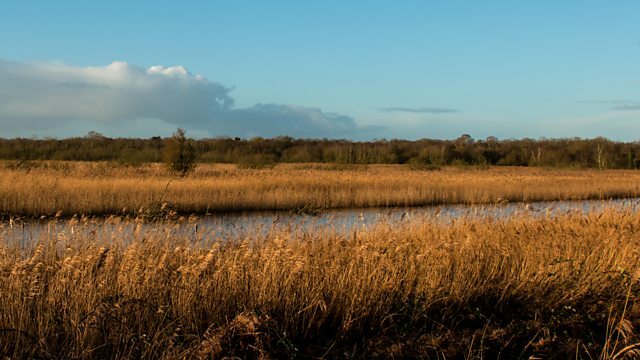 Simon Clarke of Natural England talks Trai Anfield through the spectacle on Shapwick Heath. When it is all over and three quarters of a million starlings have departed for the day, thoughts turn to the reedbed and the effect the presence of so many birds has on their winter roost site and the animals they share it with.